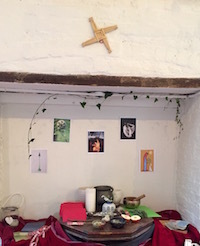 Awakening potential and activating intention was the theme of Mari Kennedy's Celtic celebration of IMBOC at Dublin's Fumbally last Sunday (see here for more on the Celtic Calendar Samhain retreat). 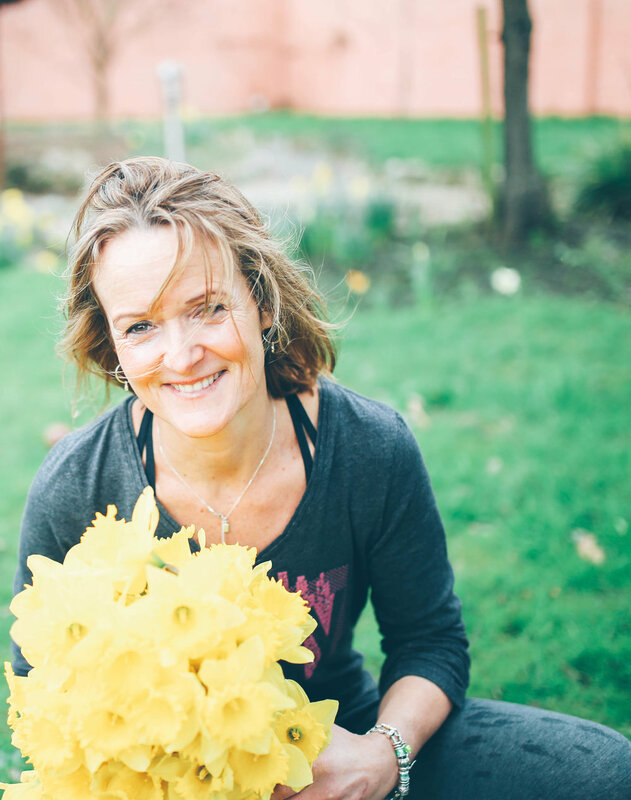 Regular readers will know how Mari's energy and deep connection with the earth resonates for me and through a seamless blend of yoga, personal enquiry and Celtic wisdom my fellow festival goes and myself journeyed through this Imboc celebration. The Celtic year begins in the darkness of the eve of Samhain where darkness and night dominate in the northern hemisphere. Mari's own teacher Dolores Whelan says that at Imboc, having emerged from the darkness of the Winter Solstice (everything in life begins in the darkness) we welcome the returning light and celebrate those aspects of new life emerging in our own lives - our dreams, hopes and possibilities." At this time, we especially invoke and honour Brigid, Goddess and Saint, who embodies the creative impulse as it awakens and quickens in the land and in our hearts and lives." We learn that each season has specific qualities, energies and rhythms that can both help and challenge us in life. Thursday last (February 1st) was Lá Fhéile Bhride, St Bridget's Day (incidentally my own mother (Bridget's) feast day) but as always the Celtic tradition begins celebrating on the evening before, Oiche Fheile Bhríde. Kennedy says that this is the time to reflect back on the cycle that is finishing: "something needs to die, to be let go of, so we can move into the next cycle and live more aligned to who we truly are. This is evolution." What outcomes would I like to experience from the day? Red: The colour of abundance and the Broth Brid (or Brigid's cloak) that was traditionally on display on the eve of Imboc. "In out of the way places of the heart. Where your thoughts never think to wander. This beginning has been quietly forming. Waiting until you were ready to emerge". While many of us (men and women) tend to want to remain in the comfort and darkness of the deeply feminine energy of samhain, the purity of Spring is fast approaching, so after a ritualistic washing away the resistance and all that is not aligned with the fire in our hearts, we sharpened our spears and activated our innate potential to follow our 'Sli na firinne' (or way of truth) and let our unique potential and Qi (energy) shine. Journeying through the Celtic festivals and rituals helps us consciously engage with the energies present in each season and the more I learn about the Celtic Cycle, the more in tune I am becoming with nature's powerful rhythms - and indeed my own power in the greater world. My body (most especially my head!) is loving this Celtic adventure as it, along with an almost daily yoga practice, is leaving me stronger, more energised and focused than I ever recall. Next up is Bealtaine which marks the transition from winter to summer and a time to celebrate the flowering of those seeds sown in the dark that are now germinating. My spear is ready for action, so roll on early summer and Bealtaine's mother energy. As Kennedy adds: "Let your heart bring you into the cycles even if the mind is afraid and enjoy the fullness." Thanks to the wonderful Sharon Greene of Queens of Neon for her cover photo and the fitting Imboc ceremonial dressing.